The new restroom look, is always a hit when floors and fixtures are new and clean, but it doesn’t take long before they are put to use and become dirty and look dated, but it doesn’t have to be. The fact is though, while we all like to replace restrooms and fixtures at the first sign of stubborn stains, odours and build up, the most cost effective way to keep them clean and looking new for as long as possible is to keep up with regular cleaning and maintenance. The belief that new is easier to clean is not necessarily true. Clean is easier to keep clean! With regular cleaning and maintenance even an “outdated” restroom can look clean and comfortable for your clients and employees. Employing a Commercial Cleaning Company is the best way to move forward here, daily cleaning can keep your restrooms clean and odour free. Restroom cleaning can be an asset with a much greater return than most businesses think. They look better, feel more comfortable and last longer, saving money in the long run. Tile grout in restrooms and in high traffic area’s is often neglected, looks dirty and harbours bacteria, which causes offensive odours. Most tiles grout is porous and over time moisture can seep through and cause water damage if the grout isn’t sealed properly. Evan the toughest flooring materials still require regular cleaning and treatment. While it’s true that tiling doesn’t retain dirt and debris as much as carpet, it definitely still gets dirty and can even be scratched or lose the finish if not properly cleaned. Not to mention the tendency to buckle and crack under too much pressure, especially if water has seeped through and is sitting underneath the surface. Most business owners are complacent with flooring maintenance. 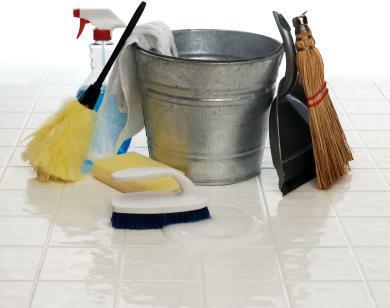 They might take time to regularly sweep and mop these floors, but if you want to maximize the long-term durability and appearance, regular maintenance, proper scrubbing and buffing is important for you tile longevity! Nothing says professional like sparkling tiles and clean grout. As residue builds up, it’s often hard to tell how sticky and dirty your tile is. Professional tools and cleaning solutions which were designed specifically for the task at hand, are capable of breaking through tough stains and build-up. They also ensure that no cleaning solution is left behind to create another layer of sticky mess that attracts dirt dust that can cause your tiles to be slippery and possibly cause slips and falls. After taking a look at your floors, cleaning experts will be able to advise you on the best way to maintain and care for your tile and grout between cleanings. With daily access and experience with thousands of products, there is no one better suited to advise you! The long term benefit will always out-weigh the cost of a service. It’s great to take on your own cleaning projects and it can be a cost saver but deep tile and grout cleaning is best left to the experts! Every year during the colder months’ employees begin to catch colds and flu viruses. The flu is highly contagious and can cause aches and pains and a difficulty concentrate which can lead to mistakes being made! Have a good sick day policy in place which employees feel comfortable using. Employees need to understand that you prefer they stayed at home if they have the flu and not spread it around the office. Normally in Australia policies will have a one or two day “grace” period – meaning that a doctors certificate isn’t required if the employee only had one or two days off. If you have Casual employees that are not normally subject to “sick days” you might want to look into offering them a sick day policy as well , so they too will feel comfortable staying at home if they are sick, but if you find a common pattern emerging it might not be the flu! Unhappy employees can often call in sick because they don’t want to come into work, you need to find out why in a diplomatic and caring way, they could have issues at home, bullied in the workplace or feel unappreciated, whatever the reason it is important you find out why – Low Morale is more contagious than the Flu! Previous FootPrint Services Blogs have mentioned the importance of personal Hygiene and office cleanliness, now that we are coming into the colder seasons it is important your employees understand how the spread of germs can occur and that your Commercial Cleaning Company is sanitizing telephones, keyboard and mouse, door handles and other commonly contacted areas. Constant reminders in the form of signs is often the best method, such as “Have You Washed Your Hands” as employees exit the bathroom or “Please No Eating At Your Desk” stuck on the fridge, whatever the sign may say employees must understand the importance of not spreading germs around the office. When dishes, glasses and coffee mugs are cleaned in a dishwasher they are sterilized. Dishes cleaned by hand will still harbour gems if a dirty dish cloth was used or just rinsed because someone was in a hurry!. A Dish washer is a good investment that could help keep the flu out of your office. Make sure you purchase a dishwasher with a sanitize option. Alternatively if you have a basic tea and coffee station or kitchenette encourage employees to bring their own mugs or purchase mugs that have your employees name on them or something that describes them positively and tastefully. It is critical that your Professional Offices maintain a high level of safe, healthy and clean working spaces for your employees and your Clients with modern day workplace health and safety laws. It is also essential that your Business or Professional Offices be impeccably clean and tidy when your customers and clients visit. You only get one first impression! Cleaning companies are establishing and expanding around cities due to a rising demand for professional regular cleaning services. But not all Cleaning Companies are the same! Nor do they perform the same level of office cleaning, use the same cleaning products or conduct their own “Gold Standard” Training for their own team. They hire low cost services which cost more in the long run! They don’t hire professional commercial cleaning companies that conduct their own “gold standard” training. They fail to check for appropriate insurance and protect their business from liability! They do not hire a cleaning company that is focussed on efficiency, cleanliness and impressing the customer! They fail to do background checks and ask for references from current clientele. Avoid using a company that outsources their work to sub-contractors – A certain recipe for disaster… especially once you start handing over keys for afterhours cleaning. You will never know who has access to your business when you and your employees go home for the day! Ensure that the Commercial Cleaning Company sends you certification of background checks obtained from the Australian Federal Police for the staff working at your property. It is of the utmost importance that this is on the top of your priority list. You need to be able to trust the Commercial Cleaning Company and their employee’s to work unsupervised after hours. FootPrint Services have put together a full report that has over ten years of experience and expertise in the Commercial Cleaning Industry and we would like to share what we have discovered with you with a complimentary report that you can down load via our website. Your employees’ morale may need a boost! Do your employees’ morale need a boost? Low morale will lead to poor co-operation, low productivity, and will ultimately hinder a business from reaching its targets. Since employee morale can build or break a company’s success, effective leaders need to keep vigil and make appropriate decisions to improve morale. Everyone wants to feel appreciated at work, people need to know that what they do in the day to day grind is worth doing and contributes to the company, they need to know they are part of the team! 2.Take time to creatively celebrate accomplishments. Departing from the customary routine of meetings and cubicle life can go a long way toward building morale. Company days out can be an excellent way to build morale, by choosing events, venues or activities that everyone will enjoy. Some companies will often not pay their employees on days out as no work it being done, so think of this way – by spending money you will make money! Your teams morale will be high which in turn will boost productivity, co-operation, creative thinking and achieve company goals. Company days out don’t necessarily need to be an entire day out, a meal on a Friday night (Bosses Shout) can also be very effective. 5. Don’t forget to have fun. Work can be boring and monotonous. Mixing it up, changing how things are done can often make things interesting at work, creating a competition within the office, theme days such as casual Friday and other activities can be voted on. Make it fun, appropriate, enjoyable to everyone and safe! Low morale can be like a silent assassin within the work place, employee’s will sometime just go with the flow, not really being happy with the activities or decisions being made, a good way to overcome this is with secret a ballot box located somewhere out of view in the office that is review at the end of the day or week, comments can often indicate how employees are feeling! Footprints Services hopes you enjoy reading our blogs, if you would like more information on our Commercial Cleaning Services please contact us at 1300 988 609 or visit our website at http://footprintservices.com.au/contact-us/ for a no obligation quote backed by our 5 Powerful Guarantees. How much has our view on housework changed since the 1950’s? A recent study of the average Australian household by the Australian Institute of Family Studies has examined Australian households and how women spend their time at home, the study found that women spend nearly twice as much time doing housework than men. Women with children aged 5 and under spend up to 32 hours a week on housework and women with children over 5 years old , still doing up to 29 hours a week and if you include a full time job women often work up to 88 hours a week! Women are achieving goals and targets in the workplace and often surpass their male counter parts but in seems women are losing the battle on the home front with 62% of employed women, with children saying they always feel overworked, tired and rushed. So the answer to the question: “How much has our view on housework changed since the 1950’s?” Not much! It’s seems that society is still stuck in the 1950’s in regards to the household cleaning, so come on guys take up the broom and dish cloth and help the team! WHS – Failure can incur some pretty hefty fines! Workplace Health and safety legislation is constantly changing and it is advised that you keep up to date by regularly visiting the WHS website. Failure to comply can incur some pretty hefty fines! A Health and Safety Representative must be nominated Representatives Regulation 18 – Minimum procedural requirements for the election of a health and safety representative for a work group as required by section 61(2) of the Act. The maximum penalty for a contravention of this sub-regulation is $6 000 for an individual and $30 000 for a body corporate. Legislation and Fines and subject to change and we recommend stay up to date with the legislation. Desk-top computers can cause potential physical, visual and psychological damage. When setting up the workstation employees should consider how often they access their desk-top and position it accordingly. When using Flash drives or USB drives employees should be aware of their reach capacity and position their desk-top appropriately to avoid excessive stretching. Position keyboards and mouses at an appropriate height so as to avoid excessive strain on the arms and wrists. Excessive strain can lead to complications such as Carpal Tunnel Syndrome, Median Nerve Entrapment, sprains and other strain injuries. 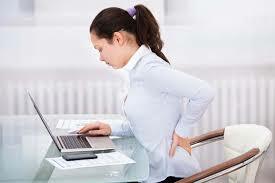 Using ergonomically designed Keyboards and mouses will reduce discomfort. Notebook and laptop computers are used in a wide variety of situations and settings where there is limited capacity to adjust the desk. This can result in the work height being unsuitable. Screen and keyboard height can result in the arms being held too high or the neck being strained to view the screen. Note that if the screen is tilted upwards, reflections can occur with some screens, causing strain on the eyes. Becoming keyboard literate to avoid constant shift of focus between looking down at the keys and back at the screen, which can contribute to neck discomfort. Occupational Health and Safety Risk Management is designed to identify, minimise, eliminate, hazards and the risk of injuries and illness associated with the workplace. Employers are required by law to provide a safe and risk free environment for their employees. It should start with proper supervision, training, and information provided to your employees so that they can perform their work in a safe manner. risk assessment and risk control. Review of health and safety polices, practices and procedures enables an organisation to determine whether their health and safety management activities are effective. Policies, procedures, and control measures, require reviewing over time to ensure that their objectives (identify, minimise, eliminate, hazards and the risk of injuries and illness associated with the workplace) are being achieved. Why is Health and Safety Risk Management important to an organisation? There is a legal obligation to provide a healthy and safe workplace. 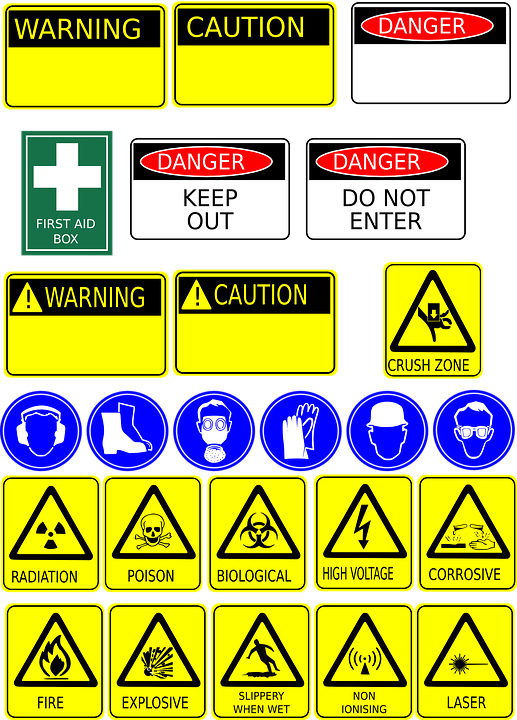 In addition, effective management of health and safety hazards makes good business sense. It can lead to reduced costs, increased productivity, higher morale and better employee relations. Employers have a duty of care to provide a healthy and safe working environment under Occupational Health and Safety legislation and common law. -Section 16;(1) of the OHS Act. Employers should ensure that all managers, supervisors and employees are aware of their occupational health and safety responsibilities. This should be done through consultation, documenting responsibilities, and ensuring there are processes in place to hold people accountable for occupational health and safety performance. Employees also have obligations under Section 21 of the OHS Act. A picture of a man’s staring eyes and a clean citrusy smell, have been found to significantly boost hand hygiene – according to a new European behavioural science study. The study showed that a process of exposure to certain cues can alter a person’s behaviour, without the person involved being aware of the impact of the cue. Subjects were observed in normal hand hygiene practice and hygiene compliance was noted. Two additional cues were then introduced. Subjects were given access to a hand sanitizing gel dispenser (an alcohol rub) with a ‘citrusy smell’ and above the gel dispenser was placed a photograph of a pair of human eyes*. When these two conditions or cues were present, results showed a 42% increase in hand hygiene compliance. dispenser was of a pair of male eyes. No significant increase noted when the eyes were female – this was true for both male and female subjects observed. When should you wash your hands with soap & water? When should you use alcohol based hand rubs? For most people cleaning isn’t on the list of favourite things to do. One way to deal with it is to tackle the big jobs first and ticking them off as you go, Commonly theses jobs would include; cleaning the oven, the fridge, the windows and toilets. You will have that clean fresh feel about the place even though the floors aren’t vacuumed, the dusting hasn’t been done ect these jobs can be done over the course of a week and don’t take that long to do. No we aren’t saying go out and buy brand X,Y and Z because it is “eco-friendly” but harsh chemical can be harmful to you and the environment, for household jobs use cleaning solutions made from Vinegar, lemon juice, eucalyptus oil, bi-carbonate soda, coffee and coca cola! Yes! Coca Cola, Coke can be used to clean toilets and clear blocked drains – consider that next time your drinking a can of coke! Planning exactly what you want to do, set yourself goals and check off things you’ve already done. Lists are also great if you’re dividing the clean between several people. Assign different jobs to each person and get them to mark off what’s complete. Receive a No Obligation quote for Commercial Cleaning services that will fit your needs and your budget. We are more than happy to answer any of your questions.